We need testers (any experience level), and we would love to give you the opportunity to join our confidential Consumer Advisory Community! 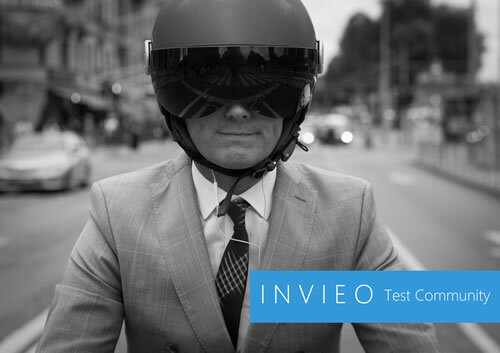 Invieo is a customer experience research organization contracted by many of the world's most innovative companies to confidentially collect your thoughts, ideas, and opinions on the products our partner companies are currently developing. We offer a superior experience feedback community by taking what you have to say and we communicate that information anonymously to the company testing their hardware, software, or idea with you, our “Feedback Advisor”. We invite you to be a part of this exciting experience! By being a member of our Consumer Advisory Community, you get to see innovative and exciting products in early stages of development and your feedback will influence the course of future products for our top partner companies. This community is open to all people who want to help improve our partner companies' products through customer feedback, usability testing, and beta testing. By joining this community you may be invited to apply to future beta, feedback, and other testing opportunities as they become available. We typically only ask for 20 minutes to one hour of your time daily over a period of 5 to 7 days. We are highly selective with the partners we work select to use our service - we think your time will be well spent. Guaranteed giveaway opportunities are available to top participants in tests. These giveaways may include prizes such tablets, movie tickets, gift cards, pre-release hardware and software, and deep discounts on popular items. You will be informed of the giveaway opportunities and chances before you decide to join a test. Early Access to Hardware and Software! Our partner companies are constantly asking us to test their latest and unreleased hardware and software with you, our community members. Sometimes they even let you keep the product before it is released! Once you complete a full profile, you will be awarded 100 feedback points (which make you eligible for our top giveaways) in your first test! Please visit www.invieo.com for more information. If you have questions or comments, please email info@invieo.com. Note: We will not sell, give away, or otherwise disclose any of your information (including but not limited to personal information, reported information, your test feedback, and participation in test opportunities) to any third parties other than the company using our services. Information that is able to personally identify you will not be shared with the company using our services (or any other entity) and all of your feedback will be shared anonymously. Click below to create an account or login with your existing account! Note - Your onlinebeta.com or Centercode username will not work with Invieo testing. You must sign up and create a new profile in our test community. Thank you!